FACT CHECK: Clinton: Russians Hacked My Crowd! 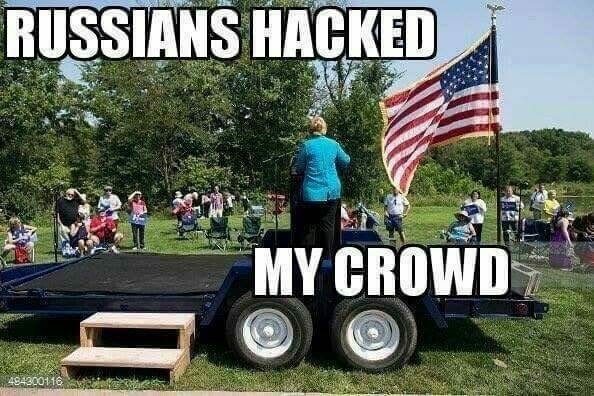 Clinton: Russians Hacked My Crowd! An image purporting to show Hillary Clinton addressing a sparsely attended campaign rally actually doesn't picture Clinton at all. An image shows Hillary Clinton addressing a campaign rally attended by fewer than 25 people. “Crowd envy” reared its ugly head more than once during the 2016 presidential race, as supporters of various candidates passed around photos purporting to demonstrate superior drawing power at campaign events. Often those photos were fake or misrepresented, as in the case of a Donald Trump rally said to have taken place in May 2016 and supposedly attended by 100,000 well-behaved bikers. The photo, though real, actually depicted an unrelated event that took place in 2013. Or the case of a massive Bernie Sanders rally and march that also allegedly took place in May. It turned out that photo was of a May Day march in Havana, Cuba. The photo on the right documents a standing-room-only Trump rally at American Airlines Center in Dallas on 14 September 2015. The photo on the left, however, which supposedly documents the minuscule size of the crowd (fewer than 25 people) at an unspecified Hillary Clinton appearance, actually does not show the Democratic nominee at all. 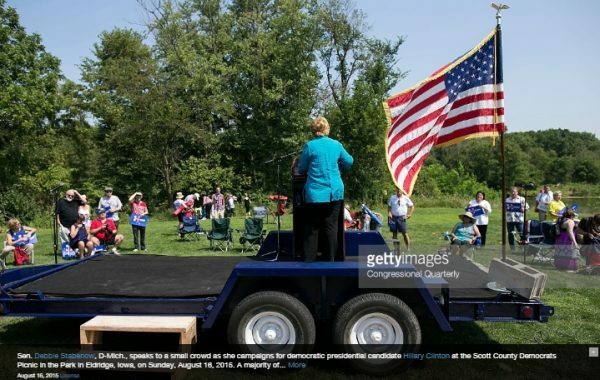 News reports indicate that the picnic was actually quite well attended earlier in the day when Clinton rival Bernie Sanders spoke, but most of the crowd left when he did. A Washington Post article dated 29 October 2016 observed that although Trump’s campaign rallies were usually better attended than Clinton’s earlier on in the race, the relative sizes of the crowds had become more comparable as election day drew near.